In case you haven’t heard, it is Breeders’ Cup week! With millions of dollars and tens of races up for grabs its hard not to get overwhelmed. Fear not, because only one race really matters anyways and that’s the Classic. This one features a field of 10 nine horses and every single one is a Grade One winner! This is so great! 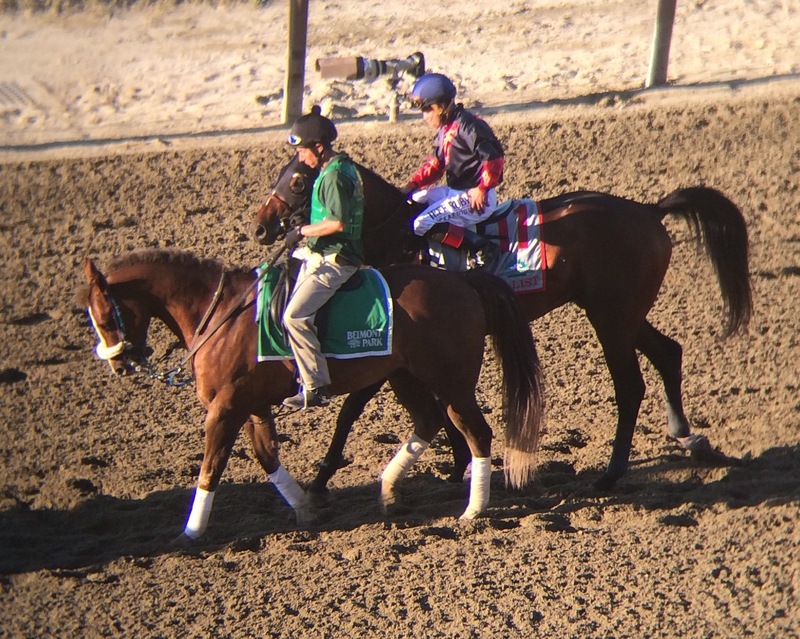 First horse in the gate is Tonalist. Now, personally, I am still a little mad at Tonalist because he is the coward and cheater that won the Belmont last year when California Chrome was going for the triple. Two others finished in front of Chrome as well, but that’s not the point. He can’t decide on if he likes the blinkers or not, but his blaze is really cool so hopefully they keep it off. Tonalist is obviously good enough to win, you don’t win the Jockey Club Gold Cup twice unless you’re fast, unfortunately there are only a few other horses who are just a bit better than him. Keep in mind though, if the best horse won every race then stupid Mine That Bird would not be a Derby winner. Since I do not have a fancy camera I took this photo of Tonalist taking a dump on my hopes and dreams with my phone through my binoculars at that stupid Belmont Stakes. Horse number two is Keen Ice who really missed a good chance at being named Keene Ice, but whatever. He’s very interesting, he’s always been an alright runner but he really woke up in the Belmont finishing third behind American Pharoah and Frosted. In the Haskell a lot of people said “oh Pharoah is just being geared down,” which was true, but Keene Ice was really rolling there. 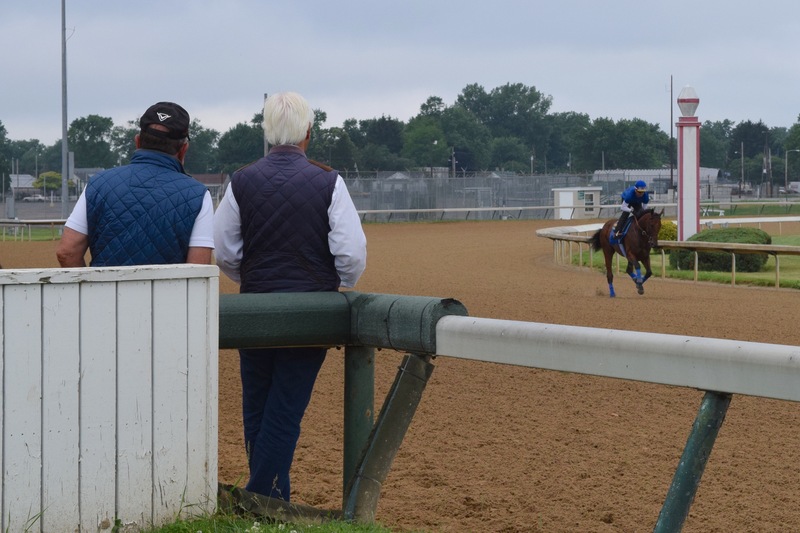 Then in the Travers, Frosted and Pharoah were in a battle from the start with him sitting behind watching the battle go down. In the stretch Keene Ice zoomed on by. 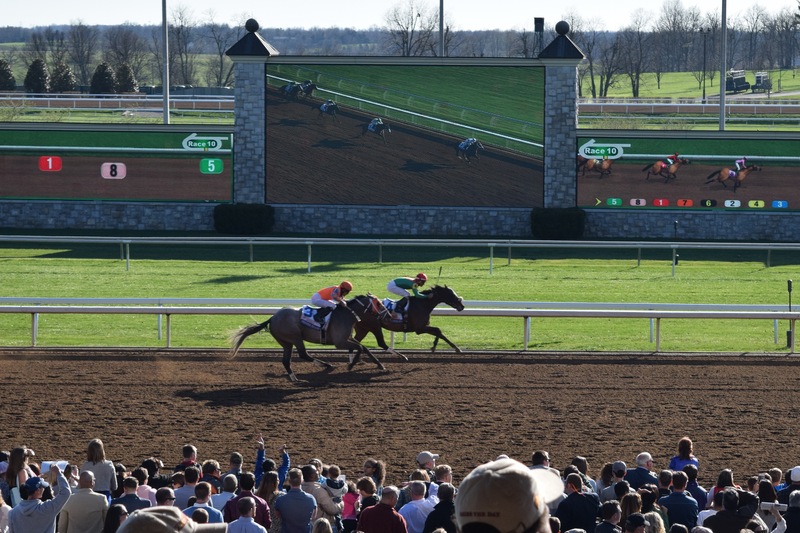 He’s the only horse in the field to run on the new state of the art Keeneland dirt, but he didn’t fair too well and was fifth. But he is a very different horse since last October. Outside of Frosted is the ~*Triple Crown winner*~ American Pharoah. This horse rocks and I am 100% biased in how much I love him. It takes a talented horse to win the Triple Crown (duh) but in today’s racing world it is doubly impressive that he continued his success with an easy win in the Haskell and an impressive second in the Travers. 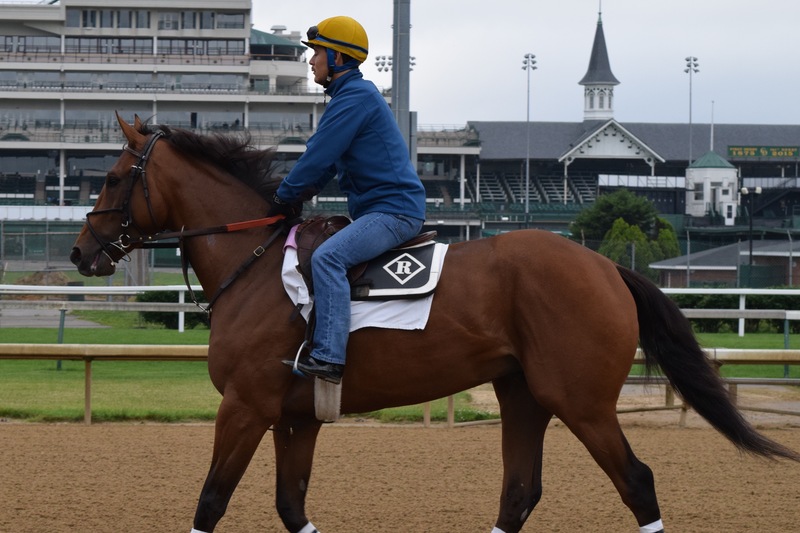 Since I am clearly a trainer, I wish he took a longer break after the Haskell and opted for the lame Grade One in California instead of the Travers, but the way he’s been training and with Bob back to being confident about him it doesn’t seem like it’ll be a big deal. He is easily one of the most physically impressive horses I’ve ever seen in person, and one of the smoothest most efficient strides as well. This horse is something else, and him winning the Classic would just be the best way possible to end his racing career. But since this is horse racing, perfect endings don’t happen so he probably isn’t gonna win. The five hole might be filled with Gleneagles, he hasn’t decided yet and wont until about 4MTP. I once misread his name as Clen Ankles, and because of that I’ve called him Cankles ever since. He’s obviously a really good runner in Europe, you don’t win champion two year old by being alright, but he’s kind of a pansy. Cankles has raced once since June, didn’t look too hot either, and for some reason they think running in the Classic is a great idea. I mean alright, Euros have done very well in the Classic in the past. Sahkee, Giants Causeway, Henrythenavigator, Raven’s Pass to name a few. But I dunno, he’s kind of an annoying horse to follow. If he wins, whatever. I dislike him and he’s still a pansy. Next up is Effinex who has one of the best names ever. He’s like Diet Tonalist, only races in New York, which by the way no one really cares about until a horse only races in California then its a huuuuge deal, (and I know Tonalist has raced outside of NY a few times but not much). He performs very well in Grade Two or Threes, and is normally up there in the Grade Ones but just hasn’t been fast enough. Who knows, maybe this whole time he has just been waiting to get out of New York, I mean he is a NY bred, has he ever actually left the state? Boy is he in for a treat. Smooth Roller is a Grade One winner yeah, but other than that he doesn’t have much going for him. He also won a MSW, and Option Claimer, and was fourth in an ungraded stakes. But he won that one lame California Grade One beating that one lame Breeders Cup Classic winner Bayern. In Smooth Roller’s defense, he did look pretty darn good. Hard Aces was in there and finished up the track. Hoppertunity is another good sometimes Grade One level horse that he beat too. Could just be coming into his own at the right time, I mean he’s only had four races and three have been wins. But with so little experience and one random bad performance he’s a tough horse to judge, he is the wild card in the race. Speaking of Hard Aces, he’s in here too! He won the Hollywood Gold Cup earlier this year to earn a place in the field, and I’m saying this with all the love in my heart, but he has absolutely sucked since then. Came in sixth in both the Pacific Classic and that lame California Grade One. And not even close, he was way behind, losing by 14 and 11 lengths. His connections YOLO’d when they entered in the Hollywood Gold Cup and got really lucky only winning by a nose, but since then he’s been pretty crappy. Who knows, longshots happen but he’s my pick to finish last. Now we all love Honor Code, he has set the record for most #HorseCrush tweets. I love him mostly because he’s a ridgling. Having the weight advantage with one ball has proved to be helpful for him in his closing run. From the last crop of A.P. Indy, also a uniballer, he was a sentimental horse to do well in the Triple Crown his year but that didn’t pan out. As a four year old he has done very well winning the Gulfstream Park Handicap, Met Mile and Whitney. He came in third in the Kelso which was a weird entry for him but his trainer Shug’s a much smarter person than me so I trust his judgement but I don’t understand it. Honor Code is a very, very talented horse and does get up when he needs to, his stretch run in the Met Mile was awesome. Like any running strategies, that has its weaknesses. If there is no speed early he’s probably screwed. But he seems like a good enough horse to overcome that if he gets a clean trip. Unfortunately champion mare Beholder bled Thursday morning and will no longer be running. Her scratch took a lot of wind out of the sails for this race, which is crazy when you think that there’s still, ya know, a ~*Triple Crown winner*~ running. She was Pharoah’s biggest challenge in the race so it definitely softens up a still pretty tough field. Good news is she’s racing next year, thats awesome! 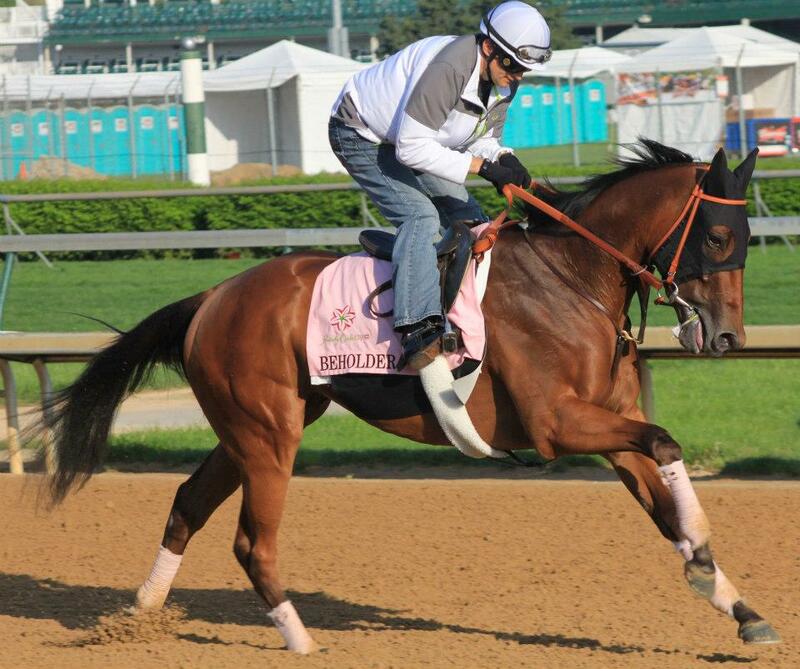 Beholder training for the Kentucky Oaks back when she was a wee three year old. This is a cool race and I’m still super excited for it. American Pharoah does seem to be the class of the field but we really have no idea how he ranks with the older runners like Honor Code, Tonalist and Smooth Roller. And hell who on earth knows how Cankles will do, those Ballydoyle runners are always such a headache.